What Does The Best Bond Cleaning In Mount Gravatt Cover? Finding and selecting reliable house cleaning in Mount Gravatt is not easy. The most common questions we get asked by people like yourself have been collated below to assist you in making a smart decision. 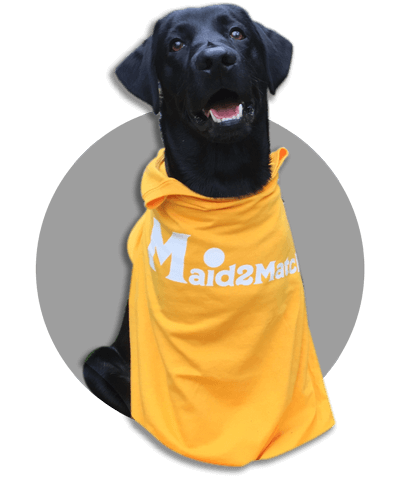 WHY ARE MAID2MATCH MOUNT GRAVATT’S BEST AT VACATE CLEANING? The truth is great bond cleaners possess a different skill set than regular house cleaners and therefore requires specific experience, dedication, and a first-class cleaning checklist. At Maid2Match, we personally vet all our cleaners, after having them complete a three-part application form. We provide extensive support and have crafted the most effective bond cleaning checklist you’ll find. Don’t take any chances with your end of lease cleaning Brisbane, contact us today. One of the biggest suburbs in Brisbane, Mount Gravatt is located in the south-eastern part of the city. With its hilly landscape, Mount Gravatt offers a lot of exciting adventures. In fact, you can get to Mount Gravatt Lookout from Shire Road. The road up there holds many other interesting views, like the water towers and the communication tower. And if you’re feeling brave, you can visit the cave complex too, which is on a hiking trail that climbs the south side of the mountain. If you’re after urban entertainment, look no further than the Mount Gravatt Showgrounds. These are an essential spot for the cultural life of the community, and the place where the agricultural fair of Mount Gravatt Show takes place every year. The Showgrounds are on Logan Road, right across from Hillsong Brisbane Campus. The Campus was once named Garden City Christian Church, and it’s Brisbane’s mega-church. Established in 1955, the church was expanded in the 1980s so that it now seats more than 2000 persons. Another important landmark in the area is Mount Gravatt State School, which opened its doors in 1874. Although it looks pretty modern now, you can easily imagine it 150 years ago.